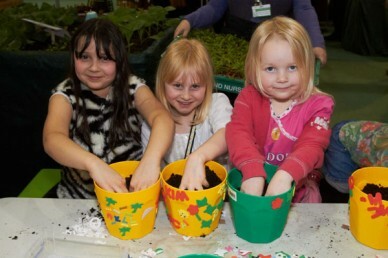 It’s the grow-your-own event that’s second only to the unfolding springtime itself – mark off the date on your calendar as The Edible Garden Show returns for a third year at Stoneleigh Park, Warwickshire, from 15-17 March 2013. In addition to the many big name exhibitors from the worlds of gardening, smallholding, food and media there are a host of well-known and well-respected experts on hand to give talks and demonstrations. Chef, Rachel Green; botanist, James Wong; adventurous Gardeners’ World presenter, Alys Fowler and Gardeners’ Question Time panellist, Bob Flowerdew are all there to give you the benefit of their considerable expertise. The show’s resident self sufficiency expert Paul Peacock is also there to share his tips for growing and preparing your crops. 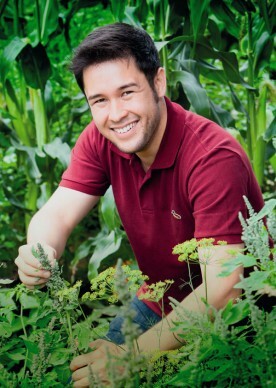 James Wong encourages experimentation with more exotic produce Smallholders are also well catered for and will find interesting and informative demonstrations on a variety of subjects including chicken, goat and pig husbandry, beekeeping, composting, tools and all the latest labour saving devices. And, as if that wasn’t enough, an episode of Gardeners’ Question Time will be pre-recorded at Stoneleigh Park on the opening day of the show and you can enter a draw for free tickets to be in the audience at this special recording. *There are 80 pairs of tickets up for grabs and to enter the draw simply email your name, postal address and contact telephone number to gqt@bbc.co.uk with email subject: Ticket draw. Winners will be selected at random on March 5 and notified via an email containing your ticket. The Edible Garden Show gates open at 9.30am and tickets cost £12 in advance or £15 on the day with concessions for children and seniors. For more show information or to buy tickets visit the website or call 0844 338 8001*You don’t have to have a ticket to The Edible Garden Show to attend this recording but, if you do want to visit the show itself, you will be required to purchase a separate ticket to gain entrance to the exhibition area.